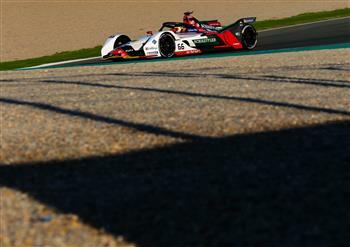 Team principal Allan McNish: "We're really excited"
Neuburg a. d. Donau, December 3, 2018 – In less than two weeks, the ABB FIA Formula E Championship will start its new season with Audi Sport ABT Schaeffler entering the race as the title defender. The two all-electric Audi e-tron FE05 cars – which will be driven by Daniel /Abt and Lucas di Grassi – have embarked on their tour around the world that will take them across five continents and 11 countries covering a total distance of more than 70,000 kilometres. The crates are closed and the shipping documents complete. 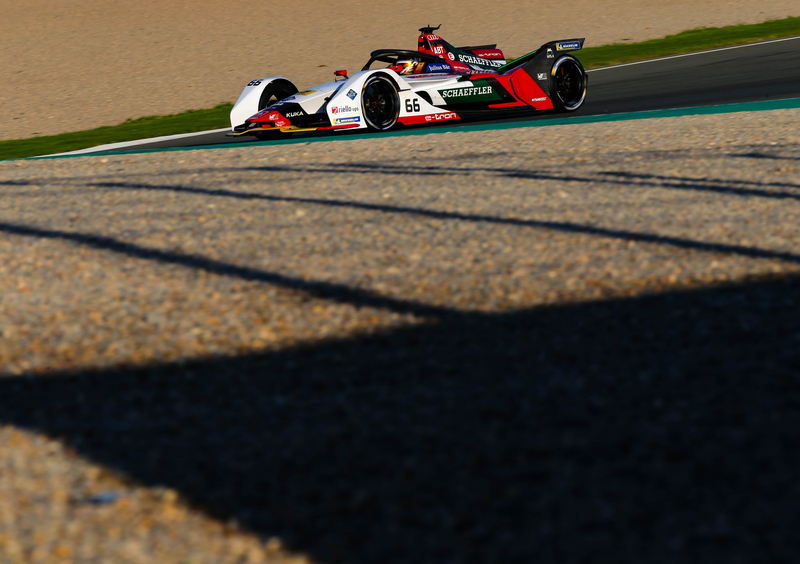 A good eight tonnes of hardware is now on its way to the Formula E season, with the first stop at Ad Diriyah on the outskirts of Saudi Arabia's capital Riyadh, where the mechanics will receive their two Audi e-tron FE05 cars for the season opener. On December 15, at 3 PM local time, the starting lights will switch to green again for the season opener. It is the first stage on a long journey that began in 2017 with the launch of the development project of the fully electric race car. The team's containers and boxes not only contain the race cars, but complete sets of bodywork and five nose cones, as well as front wing spares. In addition, DHL – a logistics partner of the series and of the German team – is hauling all of the garage equipment, the mechanics' tools and other consumables and spare parts. On board, the contents also include an Italian espresso machine, a stereo sound system and 12 umbrellas for sun and rain protection. "It's a little like in roulette – 'no more bets, please'," says Team Principal Allan McNish tongue in cheek. "Our newly developed powertrain has been sealed, the pre-season tests are over and the race cars have been loaded – when we're allowed to open the crates again, the new season will finally start in earnest. We've been intensively preparing for this moment over the past few months, so we're really excited." After the first race, the tour will take the teams to Marrakesh, Santiago de Chile, Mexico City, Hong Kong and the Chinese tourist resort Sanya. The race cars will only be sent back to the team before the Formula E season returns to Europe in April. Prior to that, they will be hauled directly from one race track to the other – a major logistical feat which DHL masters by combining air, ship and ground transportation as efficiently as possible. Due to the combined transportation of all cars and materials, plus the selection of appropriate routes and means of transportation, emissions are minimised as much as possible. Essentially, Formula E pursues the aim of reducing its emissions step by step and compensating them in the long run. In the second half of the season, races in Rome, Paris, Monaco, Berlin and Bern will take the team and its technology across Europe. The more than 70,000 kilometre tour of the world will culminate in the season's finale in New York in mid-July of 2019. The Audi FE05 e-tron race car.